St Johnston have signed all-rounder Jarred Smit as their overseas player for the 2019 season. 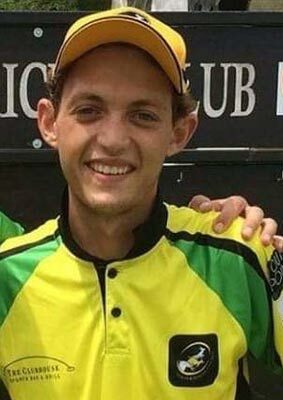 The 21 year-old is a right-arm fast bowler and right-handed batsman who played in The Netherlands last season for Olympia CC in Gouda. He will also be playing for Southerners CC in Thailand before travelling to Donegal to take up his role with the Donegal side. "I am very excited to have such a wonderful opportunity to play cricket in your beautiful county," Smit told CricketEurope. "Ever since I was a young boy, I wanted to play cricket outside of my native South Africa, and experience different cultures and ways of playing the game of cricket. 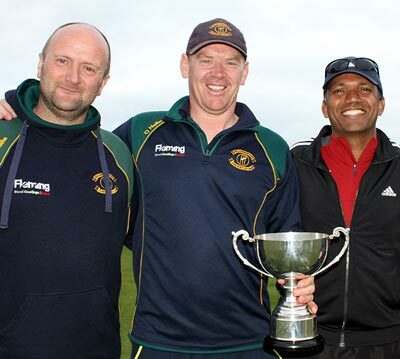 Thanks to World Sports Xchange for connecting me with St. Johnston Cricket club. "I have already received a warm welcome from numerous members of the club and community. It is a true privilege to be joining the Saints family. I've played cricket all my life and have devolved a passion for the sport - a love for walking over the boundary rope with my team and fighting for victory is something I struggle to put into words. "Cricket has brought me so many fantastic memories and I certainly look forward to make more memories in Ireland next season. I hope that I can contribute to continued club success." Smit will be joined at the club by Kevin Martin, who last month confirmed a player/coach role. The club is also carrying out extensive ground and square renovations over the close season. It promises to be quite a campaign for St Johnston in 2019.